I love creativity and creative people. In fact, I love them so much that I have spent much of my adult life studying the subject and listening and learning from those who are far more creative than I could ever hope to be. I love creativity and creative people so much that I recently completed the first draft of a book on the subject, and I can’t wait to share it with you. To have regular, creative ideas delivered directly to your email inbox, just point and click in the box at the right to sign up for my free newsletter. As an extra added bonus, when you sign up you will receive as my absolutely free gift to you a PDF entitled: 14 Ways to a More Creative Life. This PDF comes from what I learned doing numerous interviews with creative people who are pursuing their passions, chasing their dreams, and often making a living where their passion and purpose intersect. 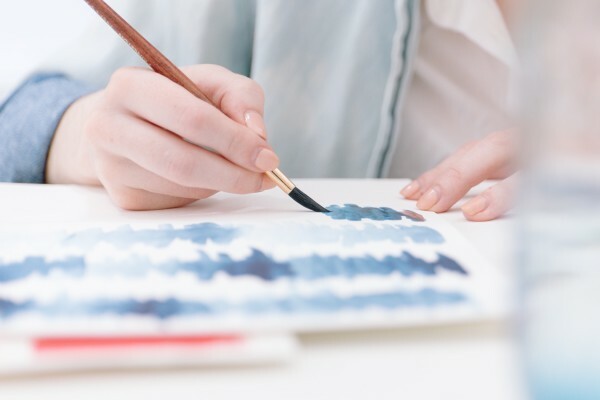 These 14 characteristics will put you on your own road toward living a more creative life. So what are you waiting for? Head to the button on the right and watch your inbox for this amazing gift. In the mean time, I’d love to hear how you are living a life that’s fully and creatively alive. Just leave a comment below. Tom Eggebrecht is a husband, father, pastor, teacher, and writer who aspires to be more creative by learning from others, reading about creativity, and teaching others (for it is in teaching that we learn the most). You can learn more about me here. Thanks Tom! God,bless these new endeavors. “Tom has successfully created a road map to unleash our creativity and embrace the life that we were uniquely designed to live. A must read for all who are intent on pursuing their inner dreams!” ~Dr. Kurt Senske, CEO, Upbring and author Wine and the Word: Savor & Serve.